When it comes to choosing an electrical contractor, it’s easy to go with one of the largest service companies. There is a perception of quality often associated with these companies - and understandably so. Large electrical contractors have built their reputations over many years and deserve respect for long-term industry leadership. However, once these companies begin to franchise and grow beyond the possibility of direct owner supervision, much of the company culture can be lost as well as ties to the local community. In some cases, this leads to the customer relationship being devalued. 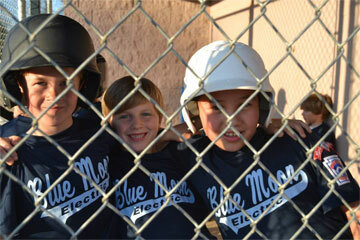 At Blue Moon Electric, customer service is our number one concern. We are local electricians responding to service calls placed by Athens residents that care as much about the local community as we do. An unhappy customer is not an option for us. We treat every service call as an opportunity to prove that we are Athens’ most trustworthy and accessible electrical company. Give us a chance to prove why transparency and customer care are much more important than name recognition when it comes to electrical service. Click here to learn more about Blue Moon and it's founder.